I spoke too soon with yesterday’s lemming post. It has been quite some time since something new and exciting in the makeup world has really sparked my interest, and I am making up for all of that now. Given my penchant for wearing the dramatic eye makeup, it should come as no surprise that I am also currently fiending for some goodies from both Sugarpill Cosmetics and Tarina Tarantino Beauty. 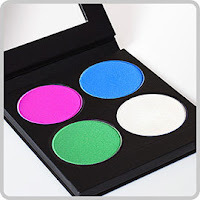 Sugarpill is a new addition to the cosmetics scene, bringing lovers of color to their knees with ultra-pigmented eyeshadows and loose colors. 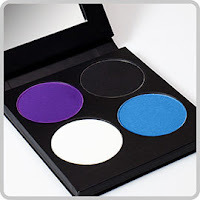 I literally want all three of the pressed shadow quads, they look that gorgeous. 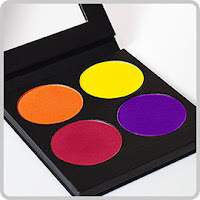 I am seeing a lot of bright mattes, which inspire the makeup artist in me. 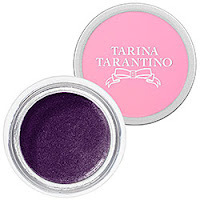 Want number 2 is brought to you by brand new Tarina Tarantino Cosmetics, available only at Sephora. Bright colors, gorgeous packaging, and amazing products aside, I just love the designer behind this fun and feminine line. Tarina Tarantino is known for her quirky and fun accessory pieces, but is making a splash in the beauty world with her gorgeous line of beauty products. I am especially intrigued by the Hypershadow, Cream Shadow, and Sparklicity Shimmer Dust you see below. Until I hit lotto, this beauty blogger will continue to dream of rolling around in the color and cuteness these two brands bring. 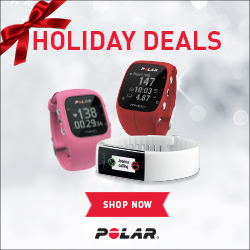 ← Krasey Giveaways- Win an Orient Automatic Watch!